The specific details, including the local operator’s contact details, will be sent within 48 hours once they are confirmed by our supplier. See where thousands of workers came to tame the Colorado River and turn the Black Canyon into Lake Mead, the largest reservoir in the US! 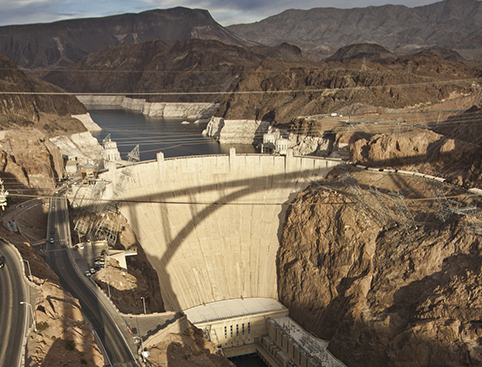 This bus tour of the Hoover Dam will take you by air-conditioned motorcoach to the one of the most impressive manmade engineering projects in the world. 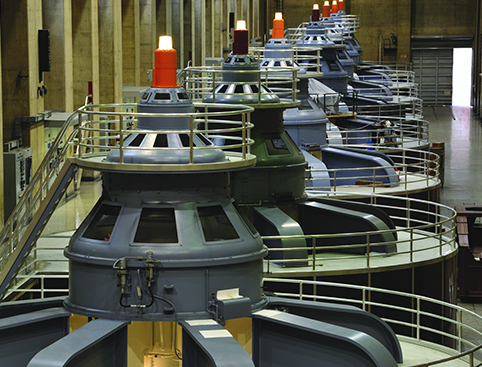 After a short 45-minute trip, you’ll get the chance to undertake a VIP experience in the heart of the Dam; the Government Guided Discovery Tour! This gives you access to the Visitor’s Centre, all exhibits, the movie room, the humming generator room and the breathtaking Observation Deck. You’ll have plenty of time to explore by yourself, and to take as many photos as you want to. Discover all the fascinating history behind this amazing feat of engineering, and then be driven back to your hotel so all you need to do is sit back and relax! You also get a FREE 1-day monorail pass (worth £13) with this ticket so you can continue exploring Las Vegas even after the tour is over. If you want to get a real sense of how impressive the Hoover Dam is, get the Helicopter Ticket! You'll be able to do the VIP tour and then board a helicopter for a six-minute flight that whisks you over Lake Mead and the Dam. Approx. 4hrs 30 mins including hotel pick up and drop off. Return transfer to/from most major hotels in Las Vegas is included. Your 1-day Monorail Pass can be collected from Las Vegas McCarran Atlantic Terminal, 275 E Tropicana Suite 155, Las Vegas, NV 89169. Passengers aged 18 years and above will need to present photo ID at check in. Infants under 2 years old can ride for free if they can sit on the lap of a parent or guardian. This tour is suitable for users of collapsible wheelchair users. Due to strict policies our partners in resort are NOT able to help any passengers board any aircraft or helicopter. Therefore, wheelchair users must be able to board themselves or with assistance from others within their own party. When booking please call us to advise us of your requirements.